Anthony Correctional Center is a medium security prison located in White Sulphur Springs West Virginia. This facility houses male and female inmates between the ages of 18-25. Inmates at Anthony Correctional Center have suspended original sentences for felony convictions. Each offender must serve between six to twenty four months in good standing and complete several comprehensive programs to address individual issues. Upon completion of all the required programs, inmates are released and placed on probation. The offender will return to the court that originally sentenced them and receive their probation term. Alternatively, if the inmate had behavioral issues while at Anthony Correctional Center or did fails to satisfy the court in their rehabilitation the inmate can receive the original sentence that was to be imposed. Anthony Correctional Center selects a dozen or so inmates to work within the institution providing services in laundry, the kitchen, and custodial maintenance. Offenders at this facility are required to participate in educational programs that includes academic courses in adult basic education, GED preparation/testing, literacy and in vocational training that includes automotive repair, culinary arts, welding, construction technologies, and business education. Inmates who already possess a diploma can take college courses offered through a local community college. Offenders at Anthony Correctional Center are allowed to go outside for recreation twice a day if the weather permits it, this usually occurs in the mornings. 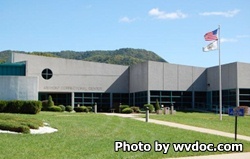 Visits at Anthony Correctional Center are conducted on Saturdays and Sundays from 8am-2:30pm. You must have an approved visitation application on file before you can attend a visiting session.